Halloween is one of those holidays that everyone loves decorating for, but no one wants the remnants in the garage or attic after October 31st is over. We want to keep every Christmas bulb and cherished ornament, but stashing away skeletons and oversized pumpkins…not so much. 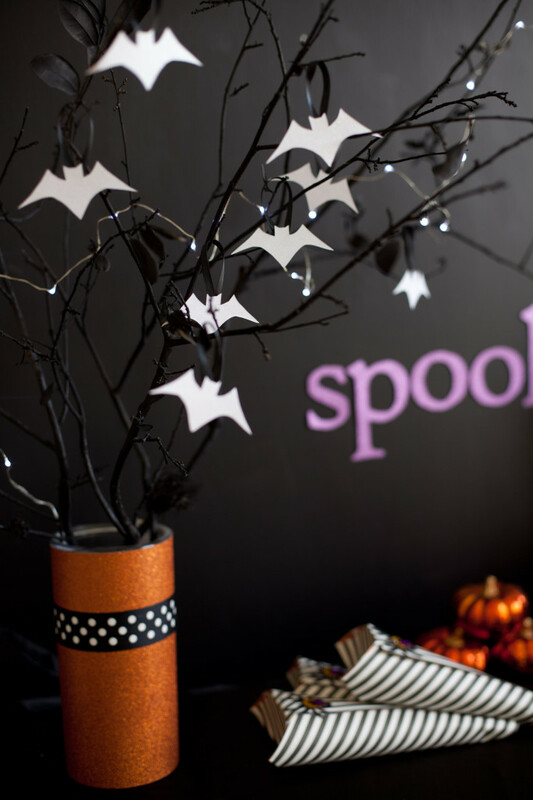 Paper decorations and printables are the perfect solution to spooking up your house with items that you don’t feel bad about throwing out after. October will be here soon (next week! 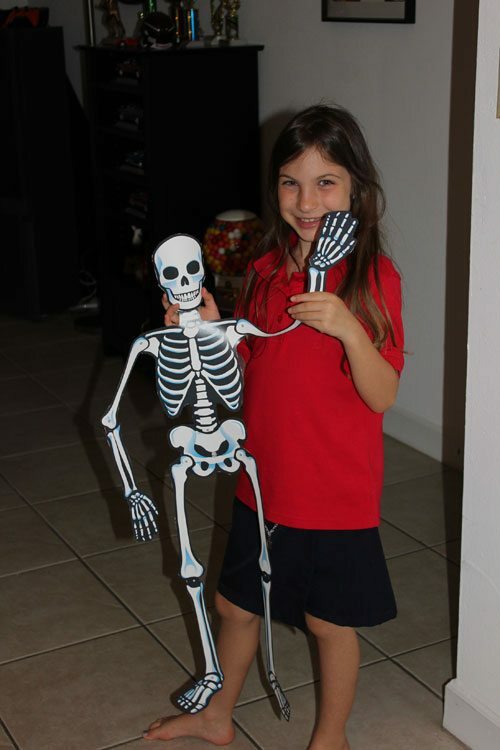 ), so it’s time to start doing a little crafty Halloween planning. Here are a few ideas to get you inspired and in the Halloween mood. Stay tuned for my next post with more DIY Halloween decoration ideas. 1. Easy and inexpensive paper Halloween decorations, from cute pumpkin bags that can decorate your sideboards and mantles to whip-it-together quick centerpieces, are available at Frog Prince Paperie. 2. Paper bats invade a stairwell at Landee See, Landee Do. 3. Create fun party balloons with Pure Joy Events using Paper Glitter free printables. 4. Frame a free Halloween “Something wicked this way comes” printable sign. 5. Get free printable Witchy Halloween party decorations at Party Box Design. 6. Create a pumpkin garland by Modern Parents Messy Kids. 7. Get free printable Spellbound Halloween party decorations at Hostess with the Mostess. 8. Make 3D paper pumpkins with I Heart Nap Time. 10. Print up some Halloween bottle wraps, and make your own “Spider Cider” with Bloom Designs. This is so cool! Thanks so much for these links! These printables plus plenty of other Halloween ideas from Pinterest make me so excited for Halloween this year! Can’t wait! Oh yeah, the amount or number of ideas from Pinterest is unbelievable! Ideas for Halloween treats up next? Maybe a free printable or a free pattern will turn up in one of your Google searches. Just try looking for it some more. WOW! Now this is what I’m talking about! Love that clever pumpkin and I’m thinking to fold it like a squash pumpkin flat and slip into a card or a book in that way it has that uniqueness that I’m looking forward to have… This surely sparks the idea out of me… Thanks for sharing..